Liver filters the blood coming from digestive track. It also makes protein in the body. 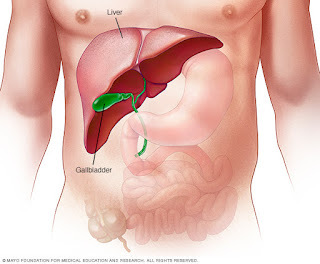 Check out Home Remedies to Keep your Liver Healthy. Cabbage: It has sulphur, which removes toxins from the body and keeps liver clean and healthy. You can use cabbage in vegetable or juice or salad. Beetroot: It has beta-carotene, which is helpful for keep liver healthy. Eat it in salad. Drink beetroot juice in the morning. Walnut: It has omega-3 fatty acids, which helps in detoxification. Eat one pinch of walnut every morning. Apple: It has pectin and flavonoids, which removes toxins from the liver. One should eat an apple in a day. Garlic: It has selenium, which cleans the harmful toxins from the liver. Eat 3-4 garlic buds every morning. Cinnamon: It has glucose and fructose, which is helpful for healthy liver. Eat it tea, vegetable and salad. Lemon: It has citric acid, which is necessary for healthy liver. Squeeze one lemon in water and drink it in the morning. Ginger: It has anti-inflammatory and anti-microbial property, which removes inflammation of liver. Mix ginger in tea. You can also intake a piece of ginger with black salt. Turmeric: It has curcumin, which maintains liver function. Mix turmeric in lentils and vegetables. You can also mix turmeric in milk. Plum: It has anti-oxidants, which protects liver from free radicals. Eat 3-4 plums every day. You can also drink its juice.